The new textbooks have their first creases. The first quizzes or tests have been taken. The welcome events have kicked off the academic year. The fall semester has begun. 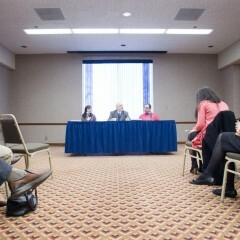 University Relations spoke with several students about the new year, life on campus, and their college career at University of Michigan-Flint. Mataya Simmons started her third year at UM-Flint this month. “It’s going to be my most difficult semester but I’m excited because I’m also into my related studies,” for her business management major, Simmons said, talking with University Relations after leaving the university bookstore recently. Simmons, plans on opening her own business someday. Until then, her days are filled up with class, homework and working at the UM-Flint Recreation Center. Simmons, from Kalamazoo, didn’t initially consider UM-Flint but her mom encouraged her to apply. A trip to campus changed everything. “At first I wasn’t that interested. 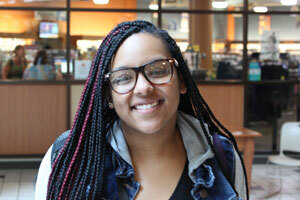 Until I visited the campus, and I fell in love,” with UM-Flint, she said. 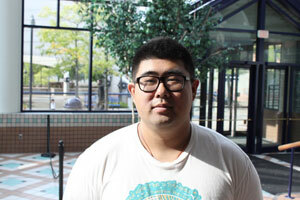 Yumin Li, originally from China, learned about the university thanks to two years of high school life in Ann Arbor. He found about the University of Michigan system, and came to UM-Flint. Now a senior studying mechanical engineering, he is thankful he found out about the university. As Li embarks on his last academic year, his focus has shifted to landing an engineering-related internship. “That’s what is most important to me,” he said. 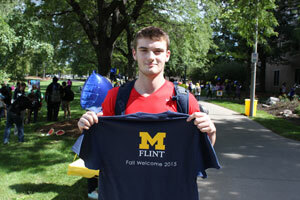 Hunter Whitworth took in the Fall Welcome Picnic and embraced the experience. Whitworth, a pre-physical therapy student from Swartz Creek, said he’s been impressed with the cultural diversity on campus. And he is embracing the academic rigor. 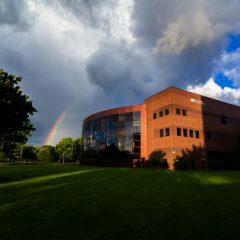 Shawna Nemes started her first full-time year of college this semester, but she is already deeply ingrained into life at UM-Flint. Nemes, from Flint, attended Genesee Early College on campus for three years. Besides paying tuition now, Nemes said nothing feels different about the school year. 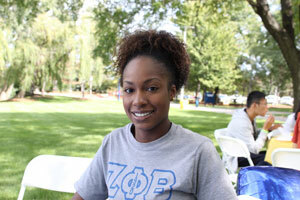 “I was already very, very familiar with the campus,” she said while attending the Fall Welcome Picnic. 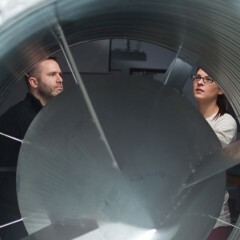 She lauded the university’s professional connections and the quality of her program. 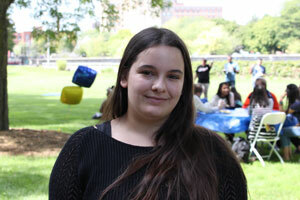 Valerie Forrest spent two years at community college before taking the jump into university life. She was accepted into University of Michigan-Ann Arbor but was drawn to the smaller size of UM-Flint. “Even though it is a smaller campus, there are still so many people. You will always see something you’ve never seen before,” said Forrest, at the Fall Welcome Picnic. As graduation looms, Forrest said her focus has turned up another notch. “I find myself always in the library,” she said.